Getting married in 2017 & 2018 then look no further. 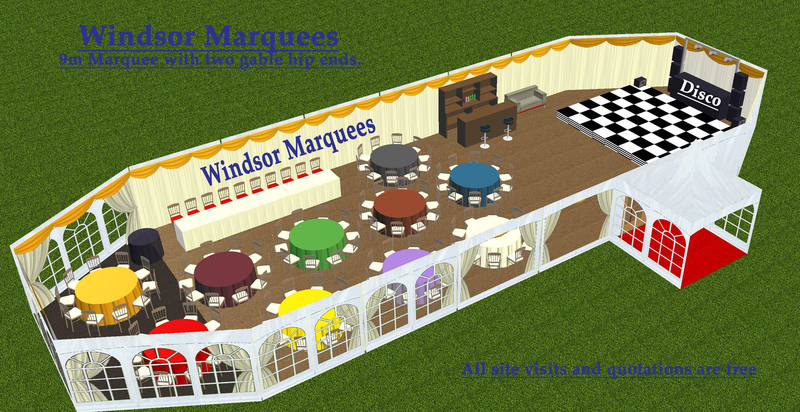 you and every body else time to decorate the interior of the marquee as you want it. All the Furniture is arranged for you by ourselves as per the agreed plan at the time of our meeting or later. We can provide attendants on the day to help with any tasks or pre-arranged jobs. Our costs include delivery and installation, for a weekend function we would typically install the equipment on Wednesday, Thursday or Friday and clear the site the following Monday or Tuesday. If you want to use the marquee again on the Sunday for a family lunch or charity event, this can normally be accommodated at no extra cost and are happy to discuss this with you. So you want a to have your reception in a marquee but don’t want to have it at a venue that is charging exorbitant prices and ties you up in knots with things you can and cant do. This is often the case. No easy answer, try and find a farmer who may have a field he is prepared to let you rent off him for a short time. Remember to allow for the time to set up all the services involved, You would need toilets, power supply, water supply then the marquee and catering. But look at the possibilities you can do what you want (within reason). You could possibly camp overnight use the marquee for breakfast and you have double bubble as we like to call it (use of the marquee twice) One of the best wedding we have ever done was in such a location in the Brecon Beacons. Your guest’s do not have to book a room at the hotel at stupidly inflated costs, because its a wedding. You don not have to book the whole hotel out (if you are thinking of a hotel venue.) and don’t forget the hotel may be having another wedding on that day,9 then you really are just another number) of course I am sure they wont tell you that when you go to see the wedding planner that has just done a degree in event planning ! We can produce a detailed CAD drawing for you in 2 & 3d showing the position of tables, chairs, windows, doors, also showing colours etc. This will be produced once we have discussed your requirements with you at our meeting. Please see example below. All our roof and wall linings are Ivory pleated and are inherently flame retardant. 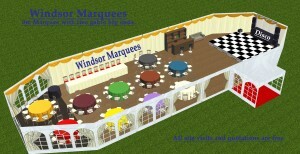 All our linnings are made especially to fit our marquees so as to give that perfect finish. We have a wide range of swags available in many different colours and we can provide a colour swatch to show exact colours at the time of our meeting. We can add a led star light lining to cover a parquet dance floor or black and white chequered dance floor with special effect lighting if required. Outside lighting for your garden, driveway house or venue. 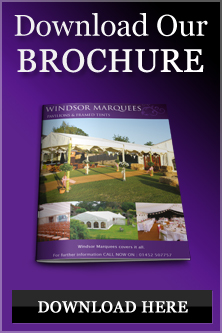 We can provide heating to make your marquee as warm as your front living room if your wedding is being held in the colder periods of the year. Wedding Party In full swing below. Here we supplied the whole marquee 33m x 12m in total but with 12m x 24m of the marquee in LED Starlight lining, with a black & white dance floor, with a stage in front of this for the band. This was for a wedding with 120 guests in late December and on the evening of the wedding it was 7 degrees below but as warm as toast in the marquee. 9m x 24m Aluminium framed marquee with window walls French doors and entrance porch. Windows: Choose from Panoramic or Georgian windows, both can easily be opened for those hot summer days and warm summer evenings. Flooring: Coir matting laid on waterproof underlay. Lighting: Chandeliers on dimmer control and up-lighters on separate dimmer unit. Linings: Ivory pleated roof lining complete with ivory pleated walls, window drapes and swags. Starlight lining. Black LED starlight lining 6m x 9m with 2 channel cross fade and dimmer unit, black wall linings underneath the starlight and with L E D Starlight for the gable end This is only supplied if the dance area within the marquee is positioned at one end of the marquee. Chairs: Lime wash Chiavari chairs with ivory seat pads or Beechwood chairs with ivory seat pad. 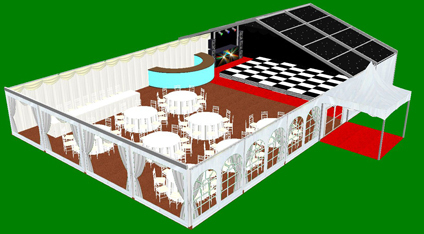 Dance floor: Black & white dance floor 18′ x 18′ Parquet dance floor also available. Service Marquee. 6m x 6m Marquee for the caterer’s preparation area, this is supplied with coir matting and lighting (other sizes are available please check with your caterer). Coconut matting laid on waterproof underlay. Lighting: Dimmer control unit, chandeliers, up-lighters or colour changing up-lighters. Ivory pleated roof lining complete with ivory pleated walls, window drapes and swags (with a choice of coloured swags available). Tables: Round to seat 8 or 10, trestle tables for top table or buffet. Lime wash Chiavari chairs with ivory or black seat pads or Natural Beechwood chairs with ivory or black seat pad. L E D Starlight lining 6,9 & 12m x 3m sections with dimmer control and cross fade unit. Led Starlight lining to fit 9m gable hip gable end. Solid 18mm interlocking wooden floor to lay underneath carpet. Stage units 8′ x 4′ x 1” with black valence. Cake tables round or rectangular. Outside lighting, floodlights or up-lighters, parasols with patio tables. 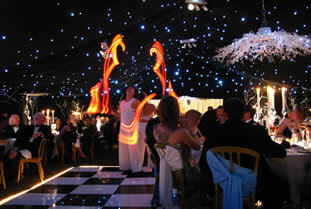 Party lighting, p a systems built to meet your requirements. Service Marquee with coconut matting and lighting (various sizes available).